Cycling is a good exercise for people of all ages, genders and lifestyles. The city of Durham provides you good opportunities to become a great cyclist or if you want to do cycling just for fun and fitness, there are numerous cycling clubs in Durham. Cycling activities are very famous and carried out by a large number of people regardless of age across the whole County. Cycling rides arranged at Durham are not only suitable for beginners as well as for intermediate level cyclists. Practice hard and take care of your fitness is the right way to become a great cyclist. To become great in any field you need to strive and work hard. Cyclists need great practice and regular exercise to excel in the game. Great and controlled food is always a helping hand in cycling to the cyclists. 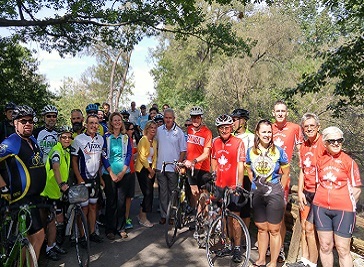 The city of Durham is providing great events for cyclists both men and women to promote the activity of cycling. The city also has beautiful cycling routes which are providing great rides as well as an opportunity to enjoy the beauty of nature. Bishop Auckland Cycling Club is a friendly cycling club based in the Bishop Auckland area. Members of the club range in age from 14 to 85 and participate in many cycling activities from Sunday club rides, time trials, cyclo cross, circuit racing and touring/camping.